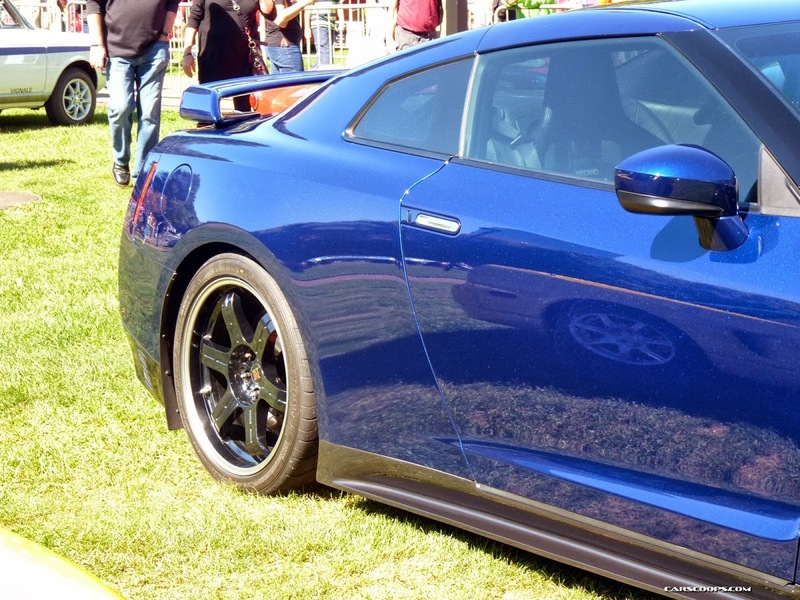 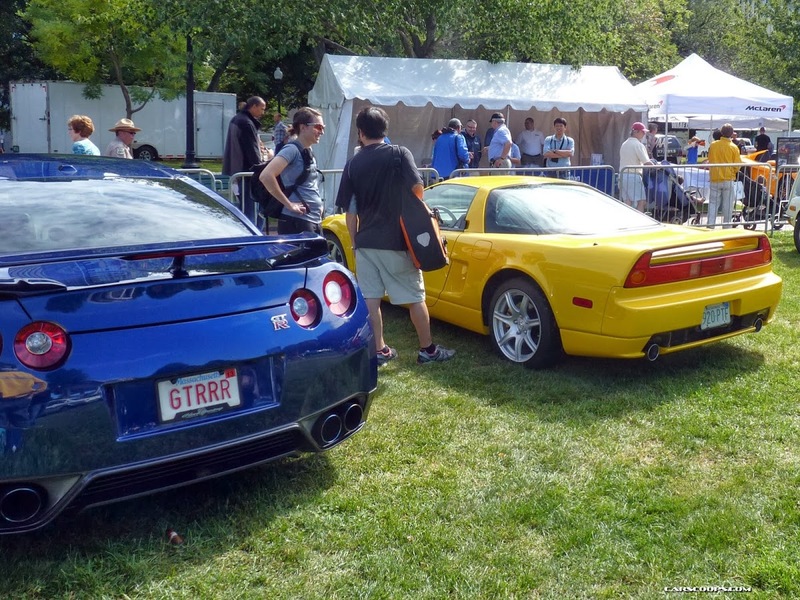 Which One Is The Prettiest, The Acura NSX Or Nissan GT-R? 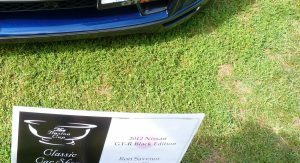 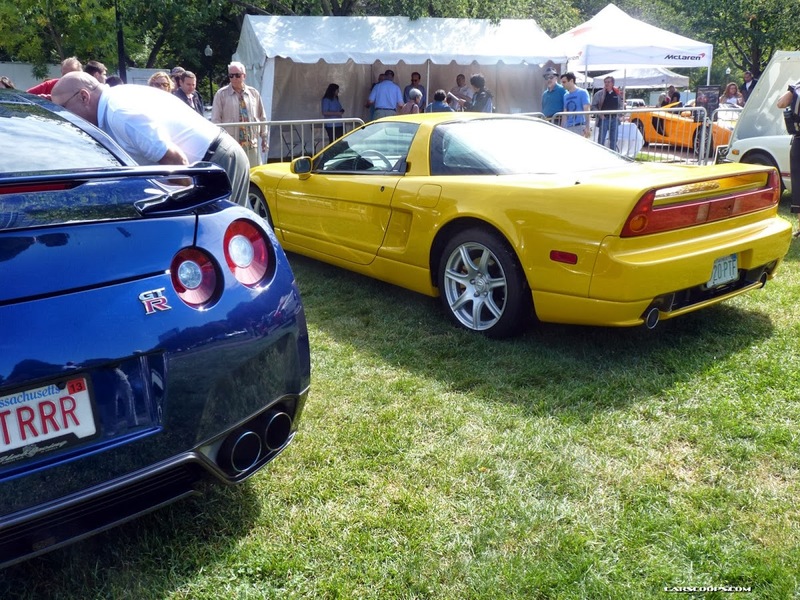 Suffice it to say, the two greatest sports cars to come out of the Land of the Rising Sun in the past quarter century, are the Honda / Acura NSX and the Nissan GT-R. 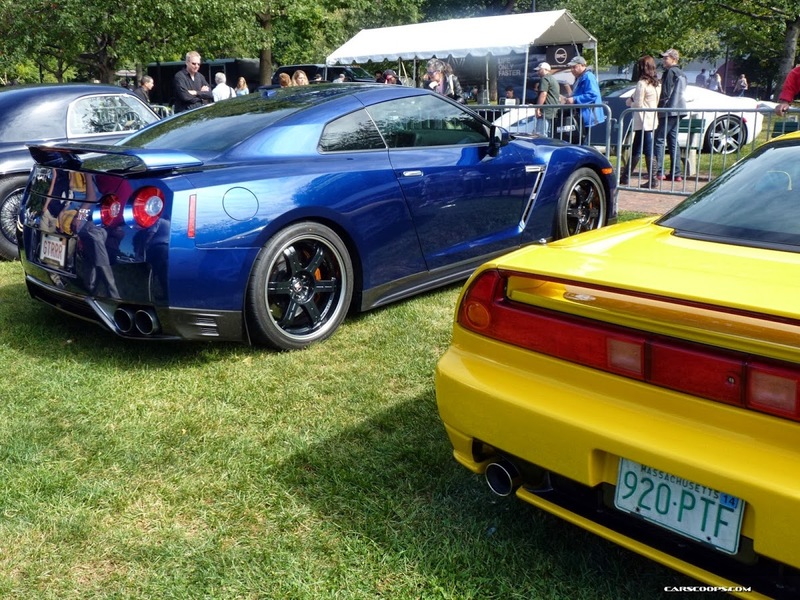 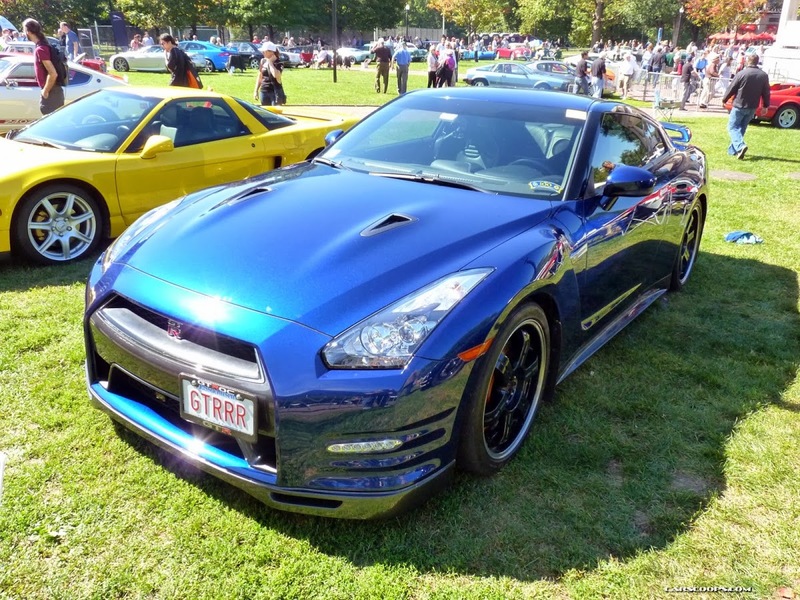 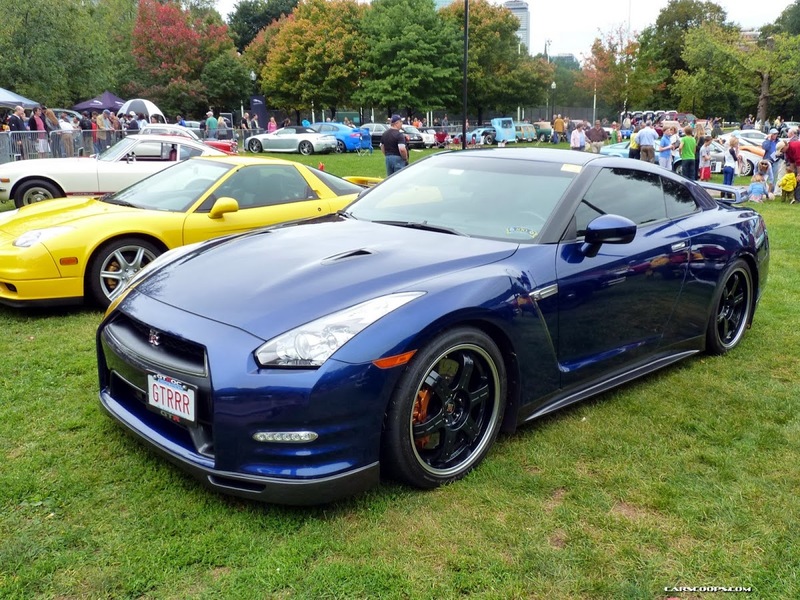 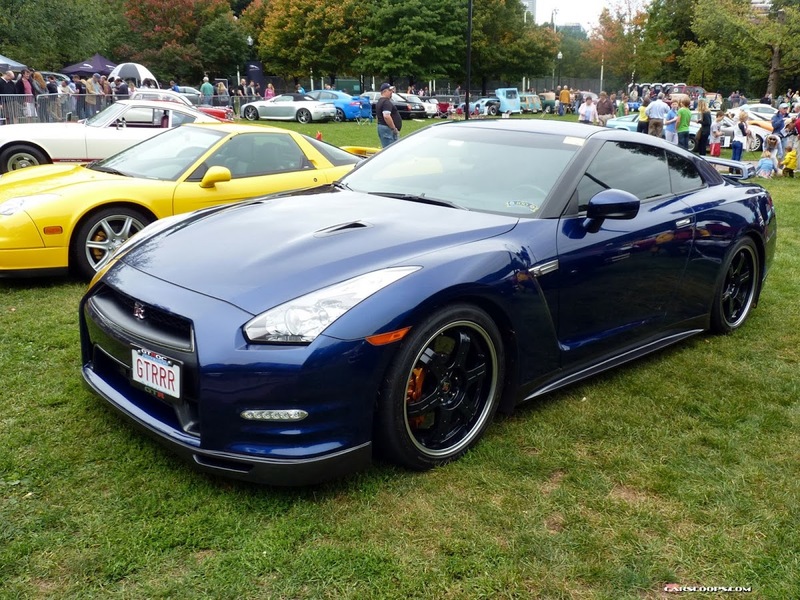 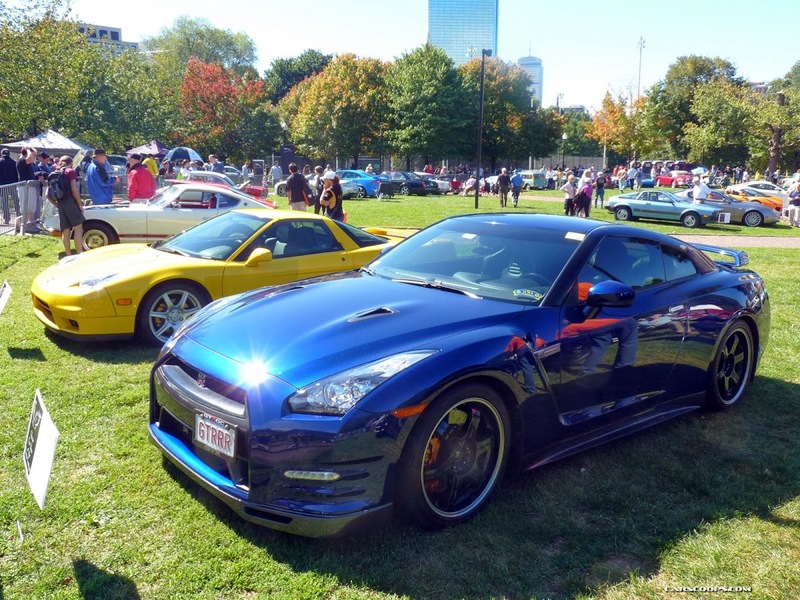 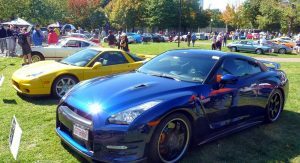 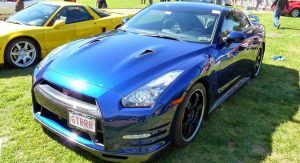 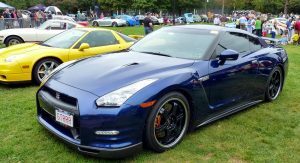 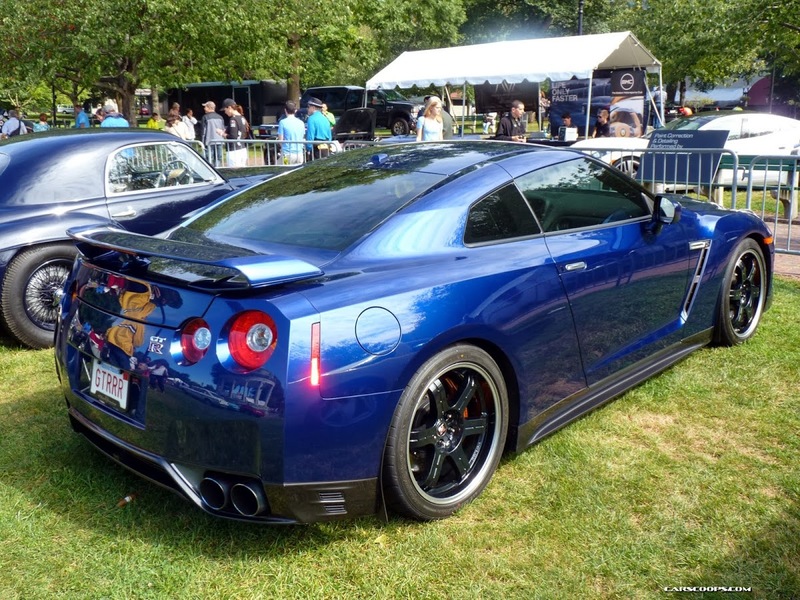 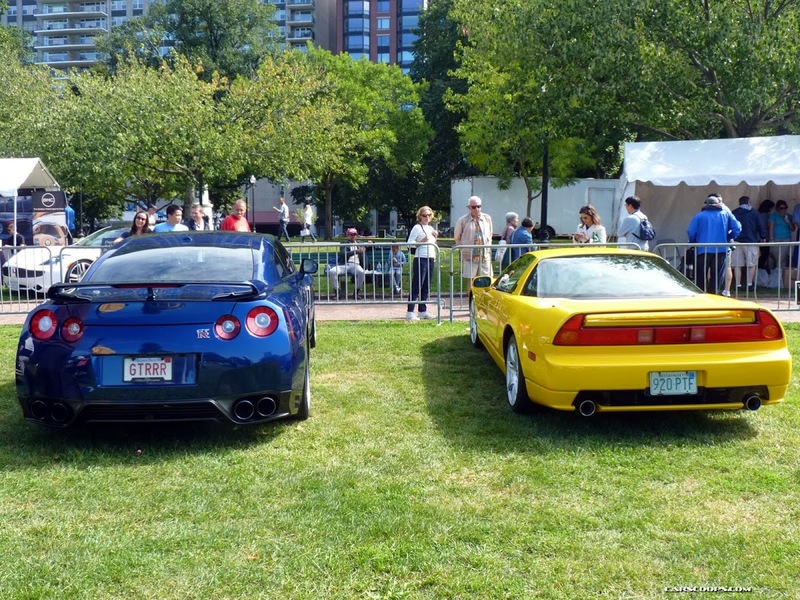 Seeing both parked side by side at the recent Boston Cup car show was pure bliss and we just had to take some shots and share them with you. 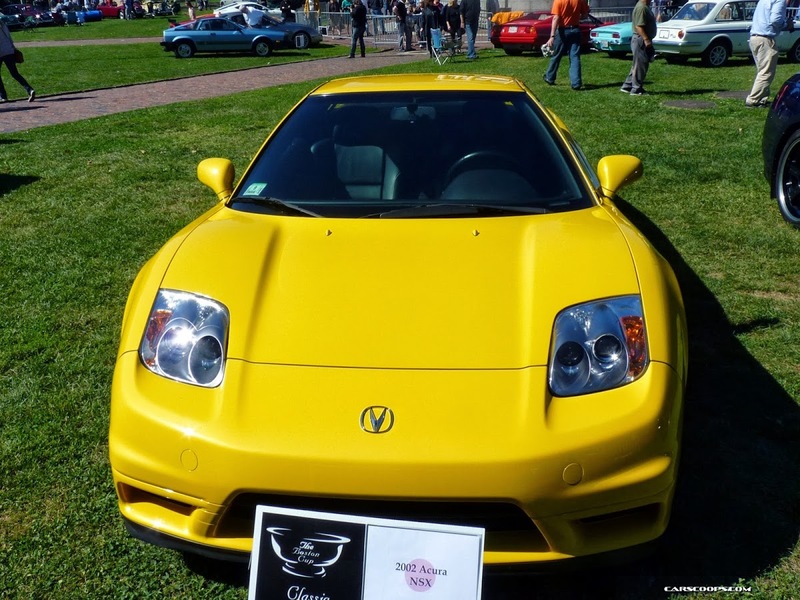 If you grew up in the 1990s, then you can most certainly relate to the sentiments expressed for the original Acura / Honda NSX, which remained in production for 15 years, from 1990 to 2005 – a pretty impressive feat for any vehicle, let alone a mid-engined sports car. 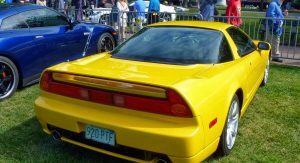 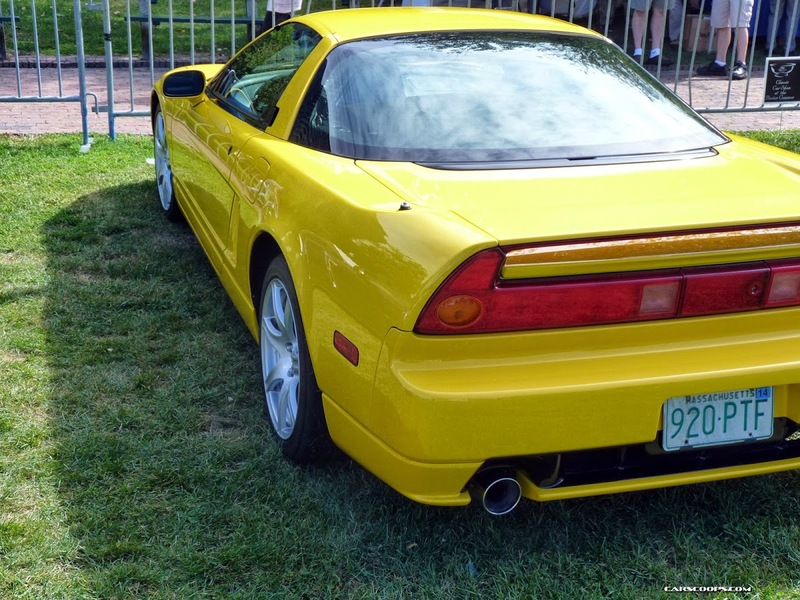 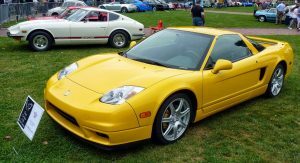 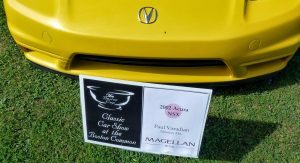 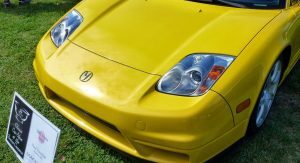 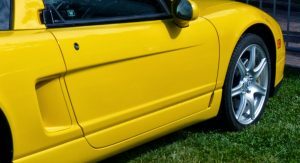 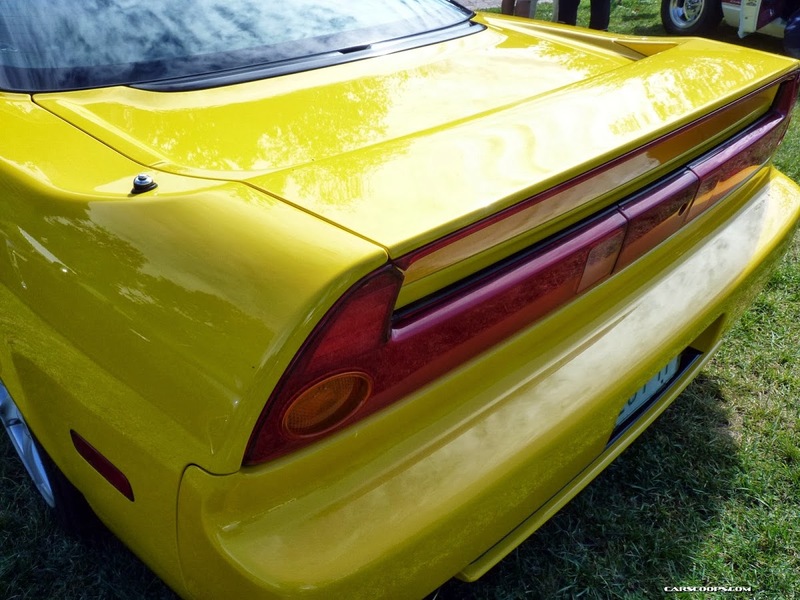 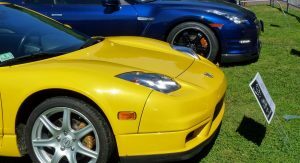 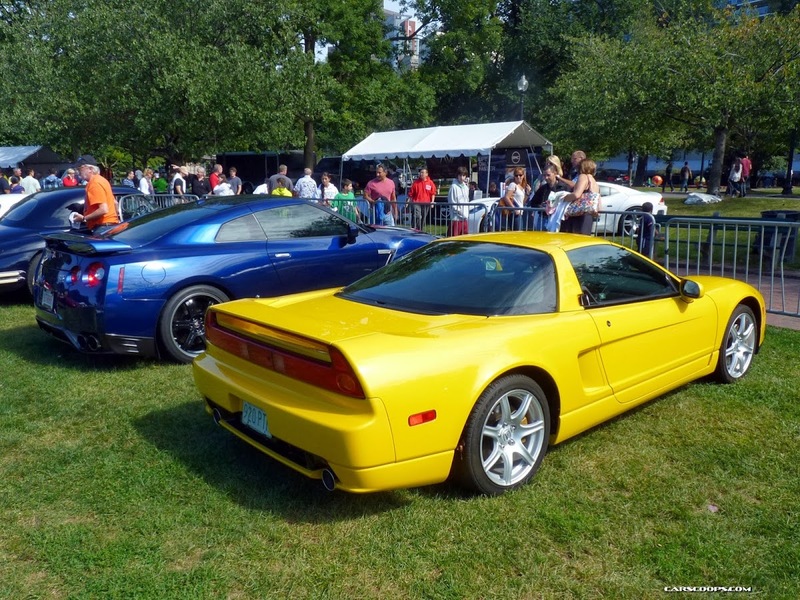 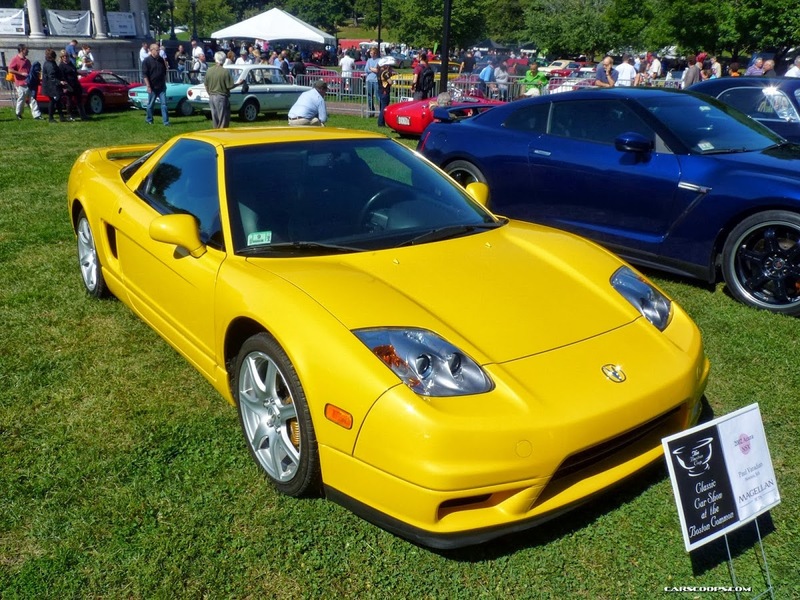 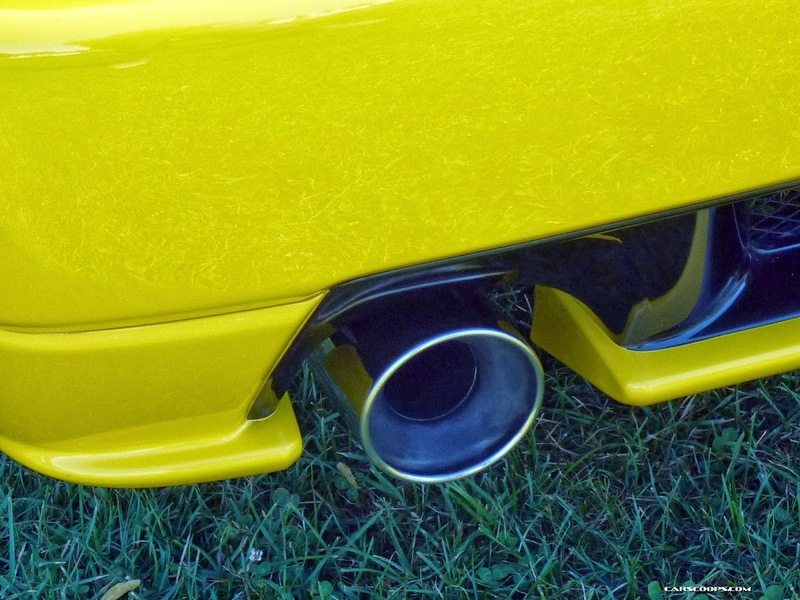 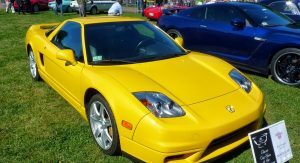 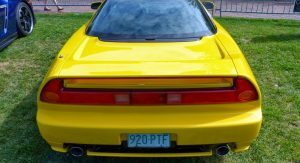 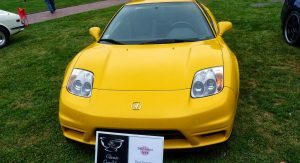 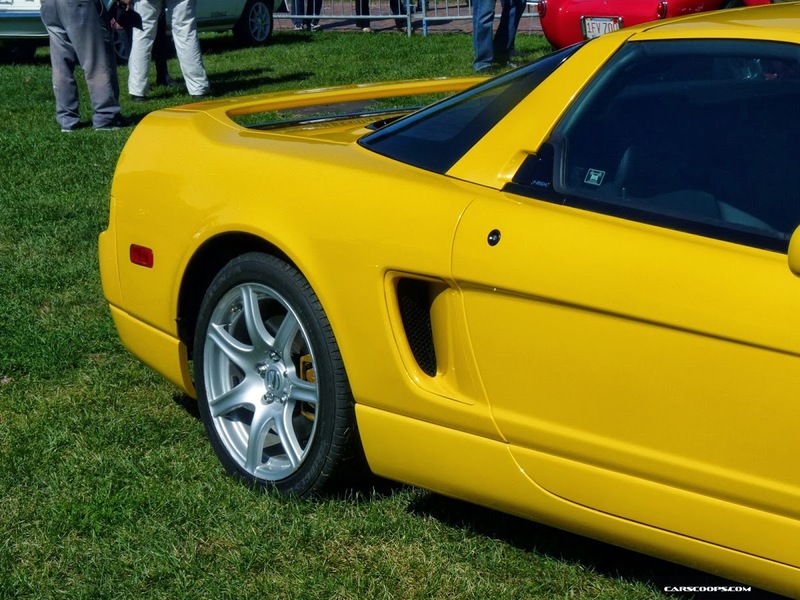 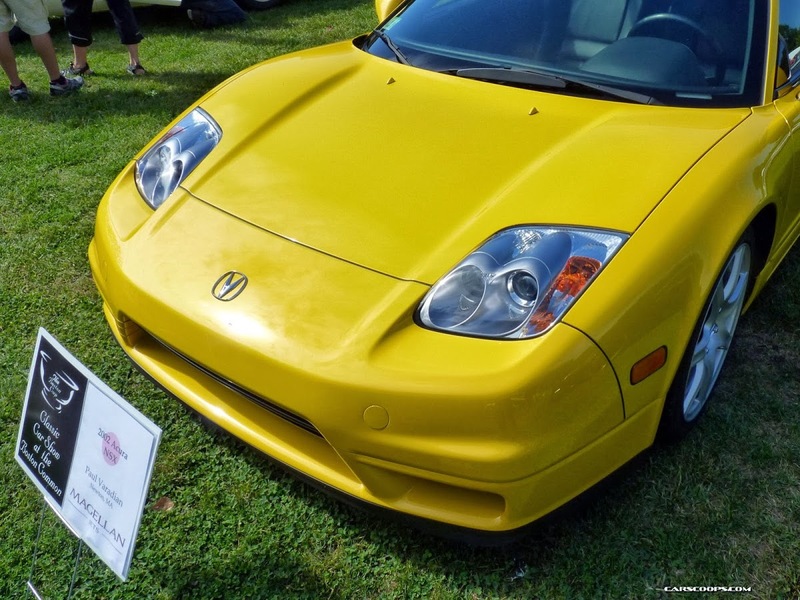 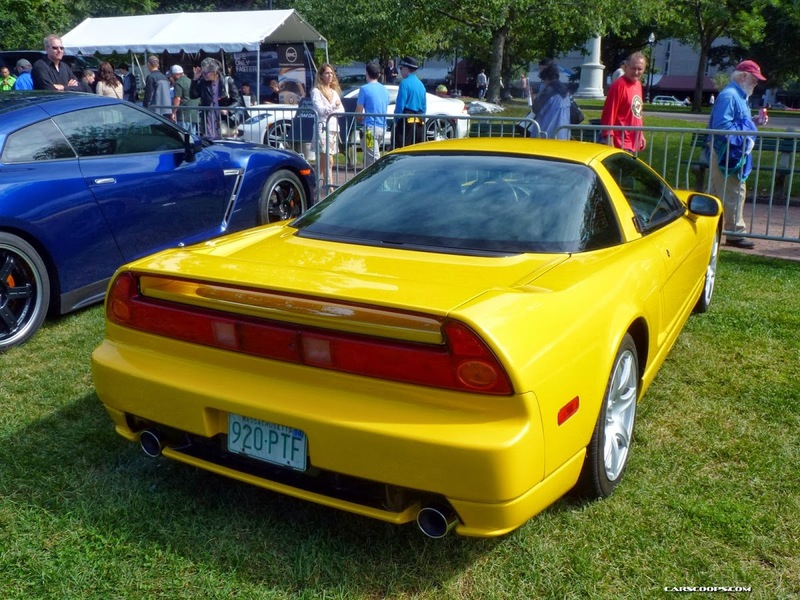 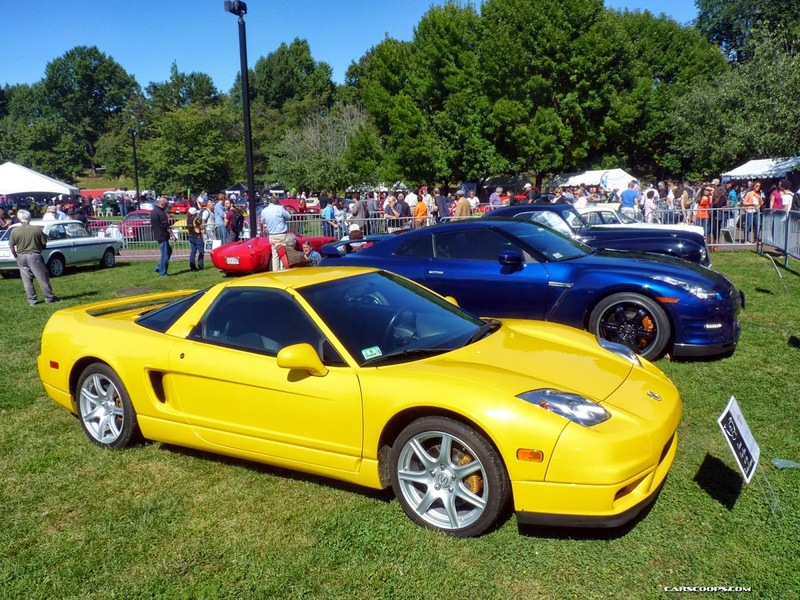 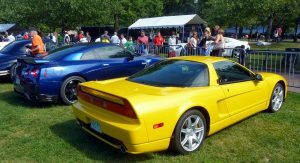 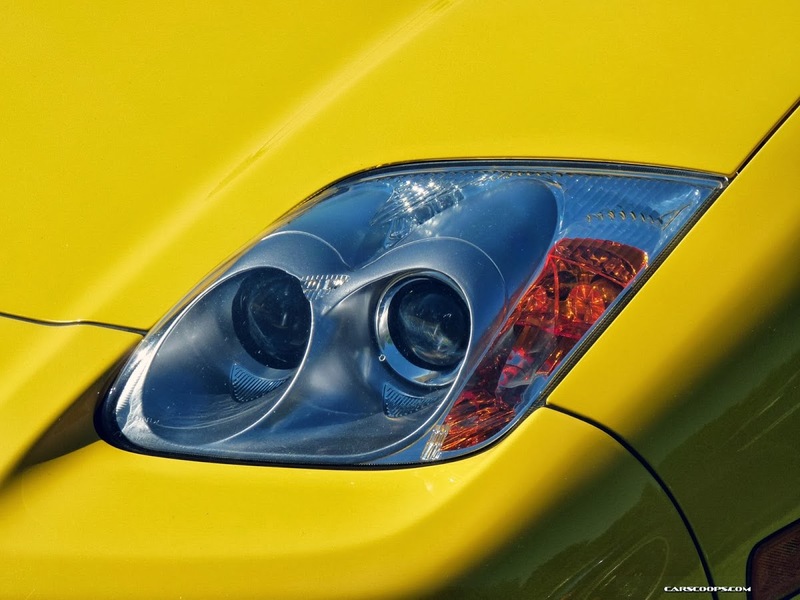 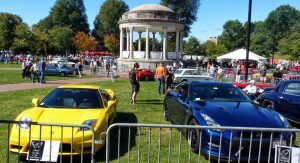 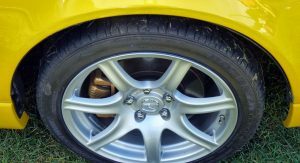 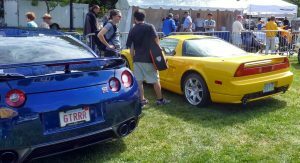 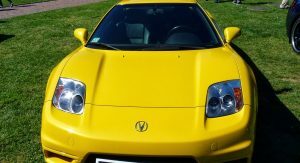 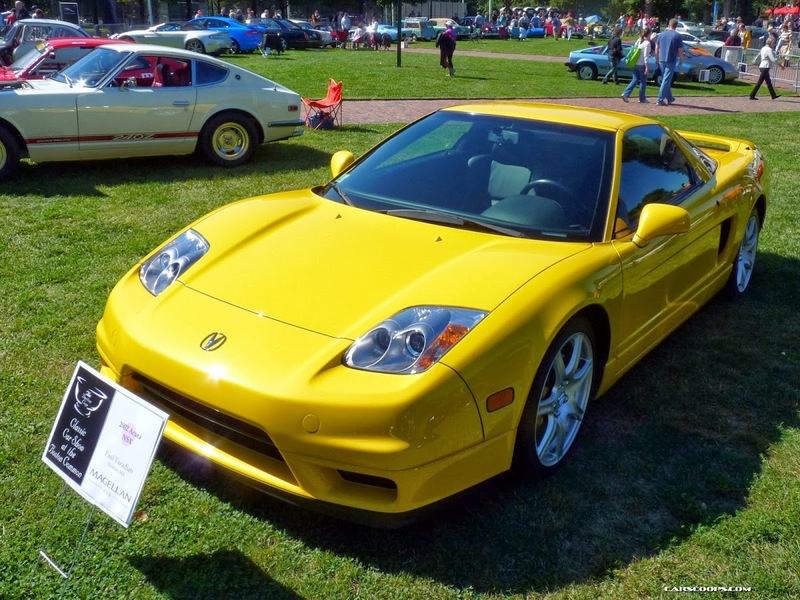 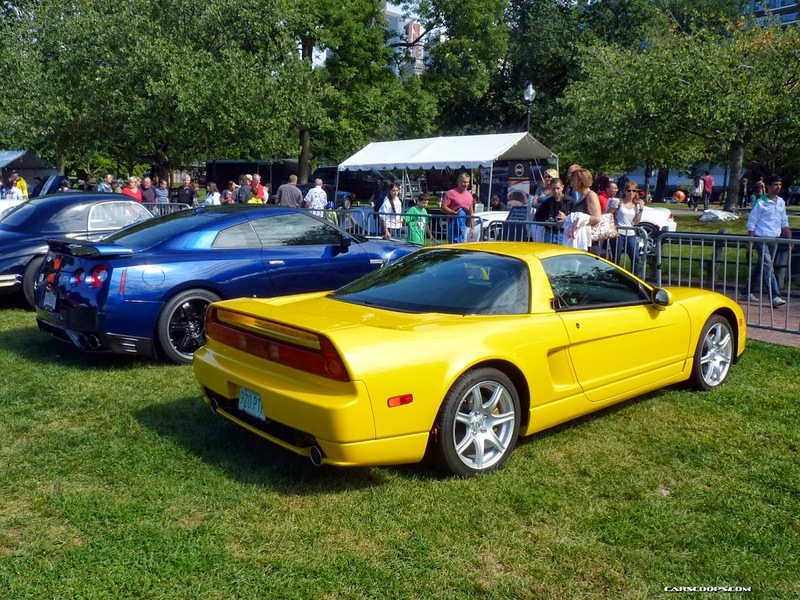 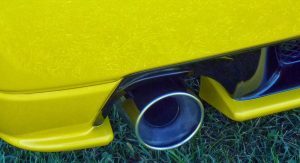 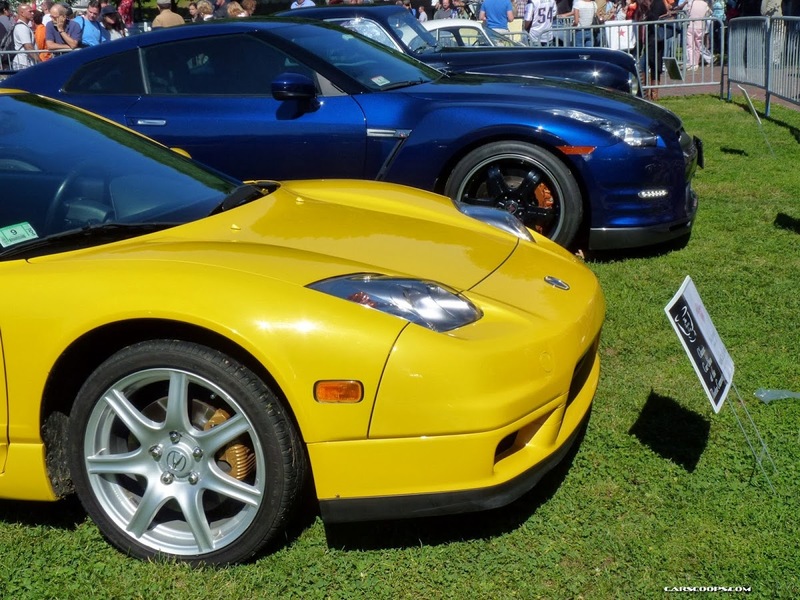 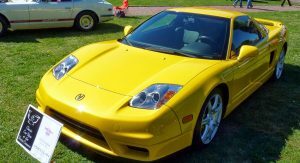 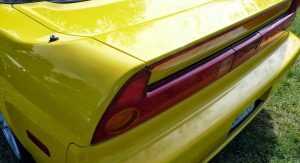 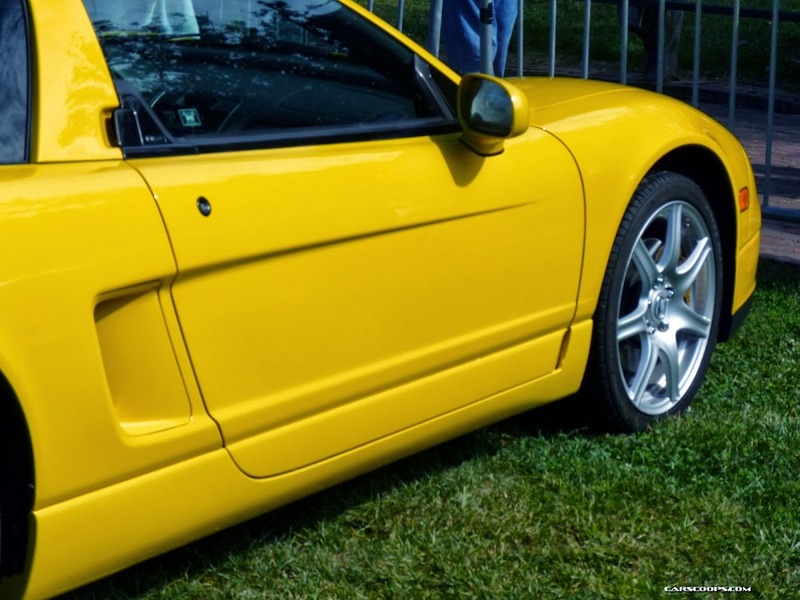 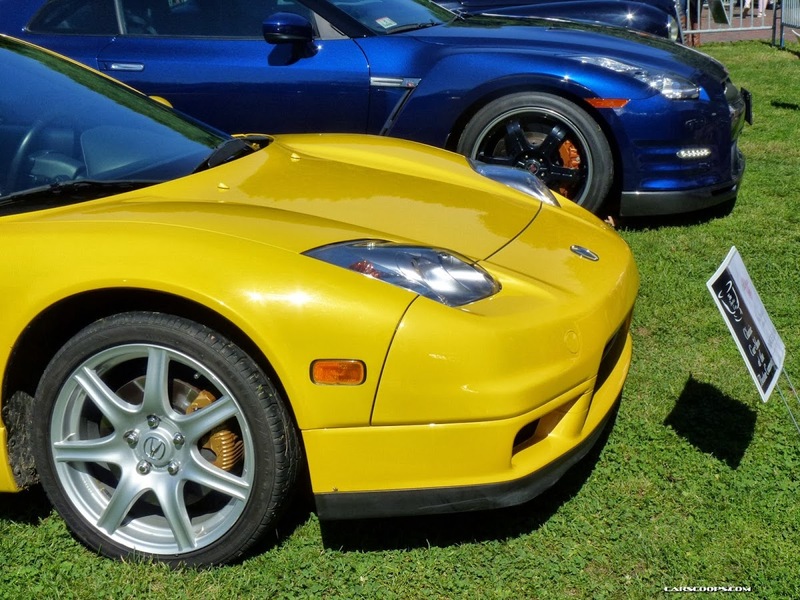 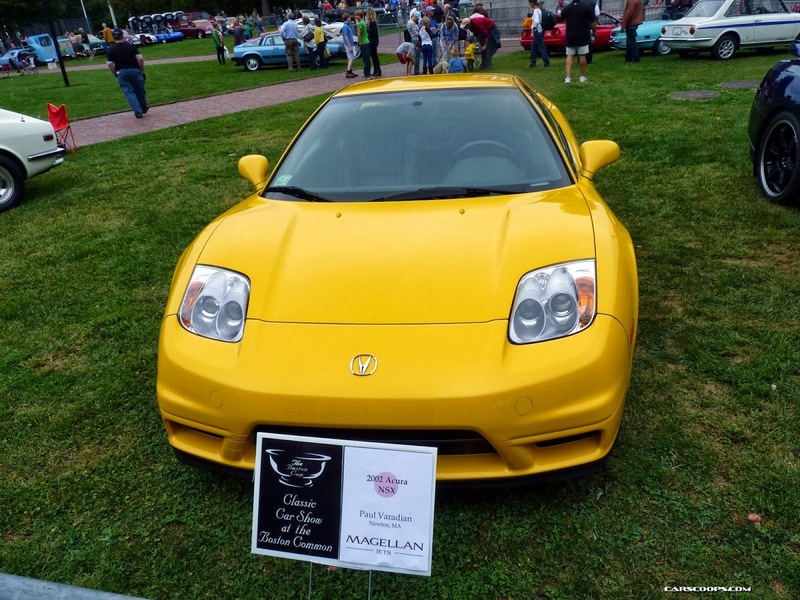 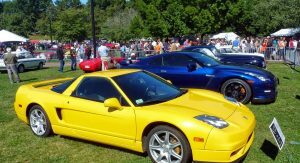 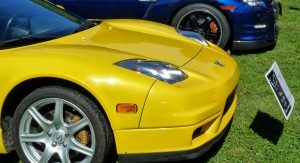 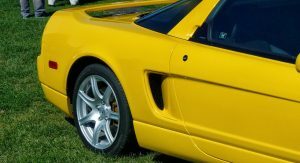 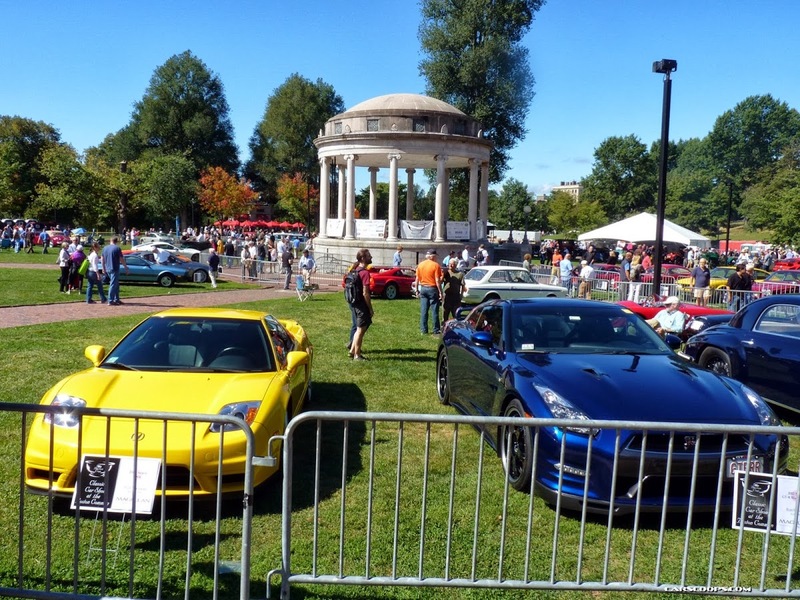 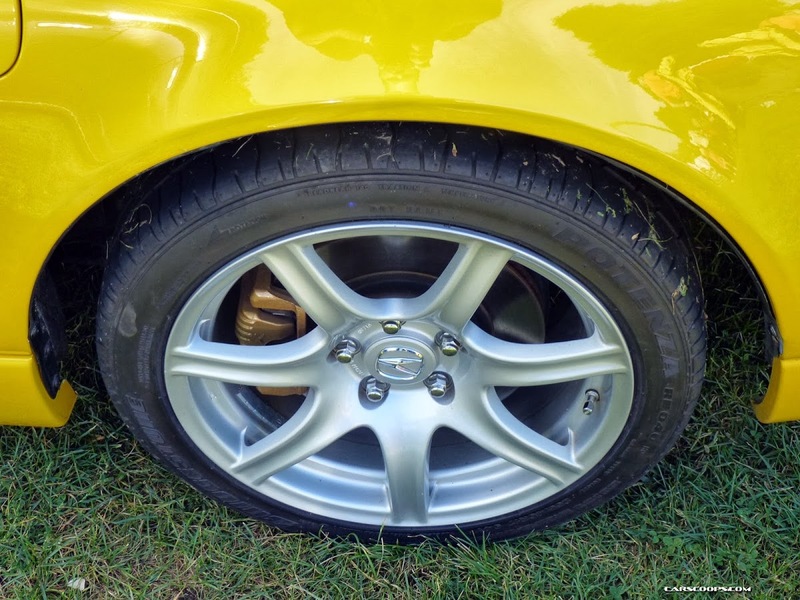 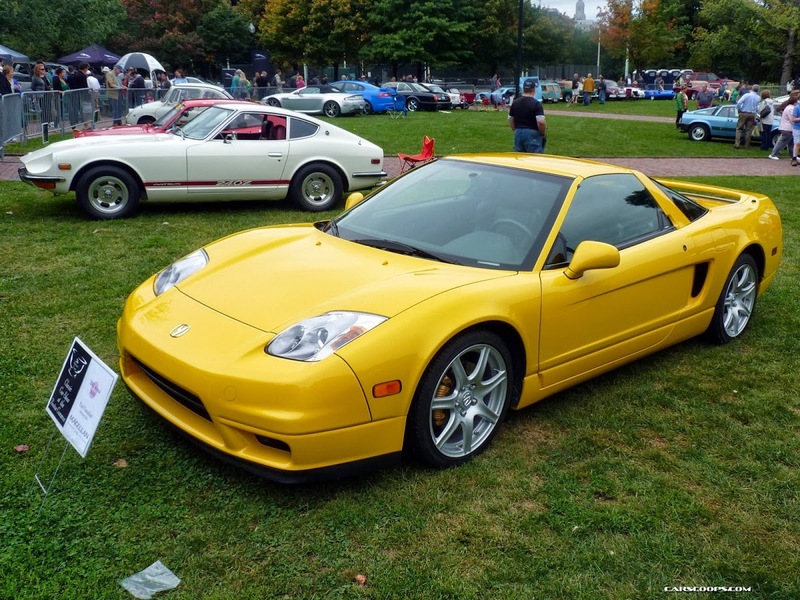 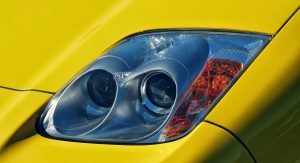 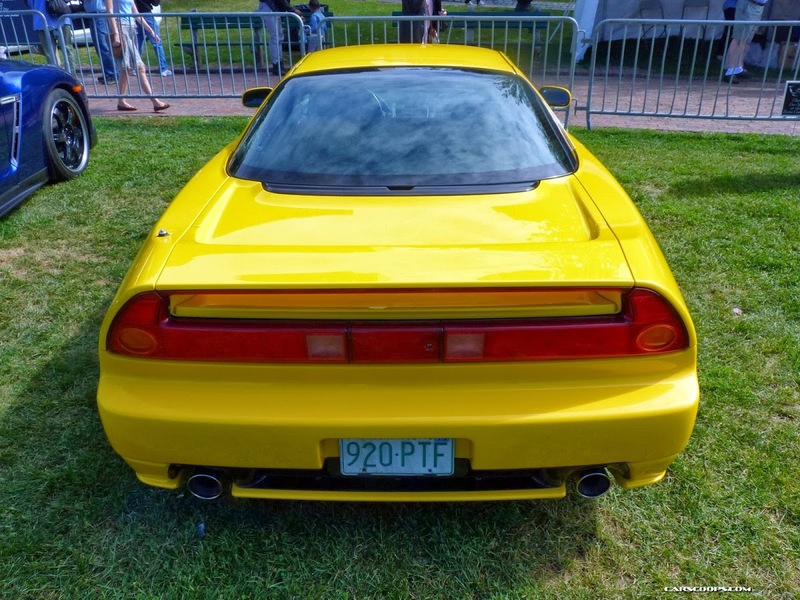 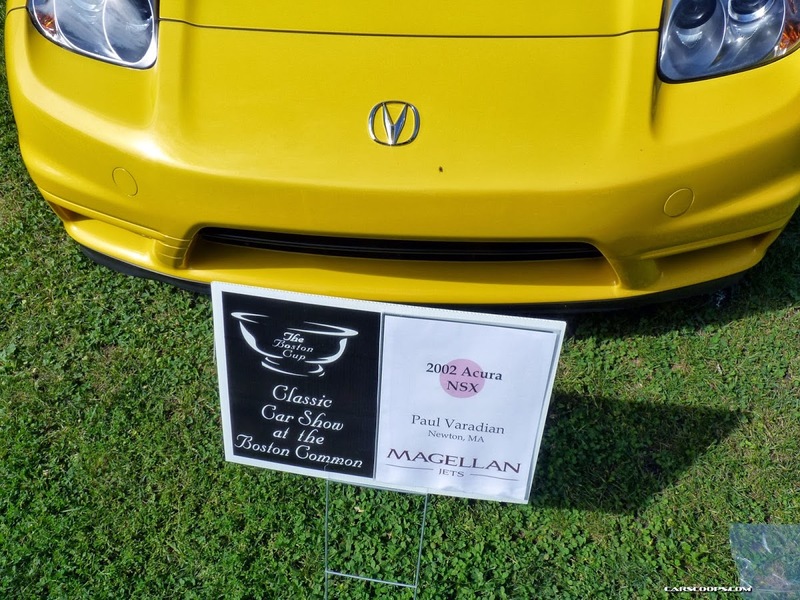 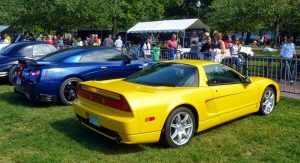 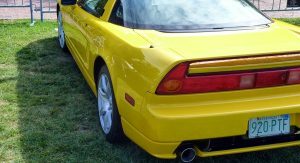 The yellow NSX at the Boston Common is a 2002 model, which was the year Honda applied a refresh that included the replacement of the original pop-up headlamps with fixed xenon HID units and changes to the wheels and suspension. 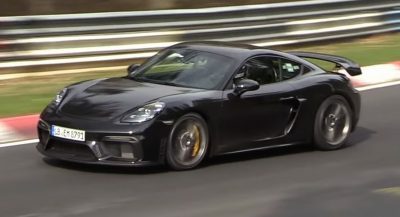 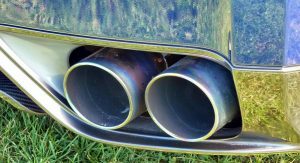 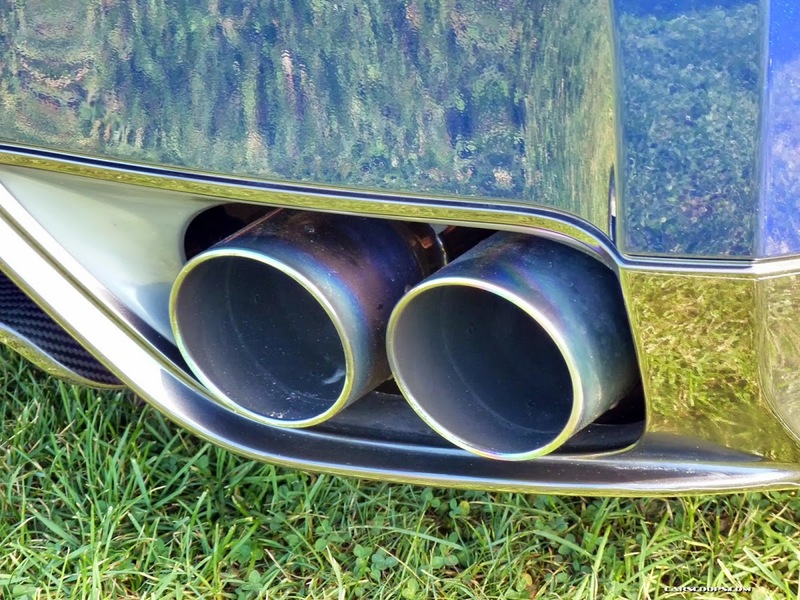 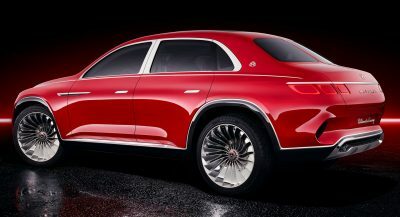 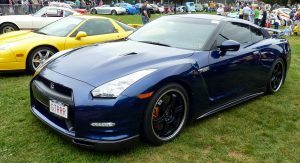 Power came from a 3.2-liter naturally-aspirated V6 churning out 290hp (294PS). 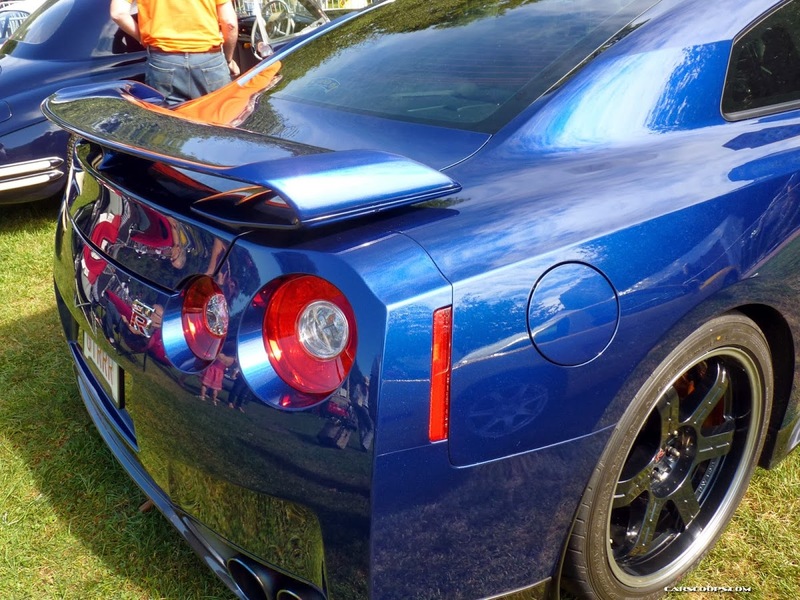 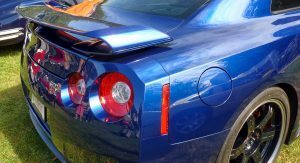 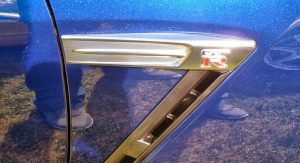 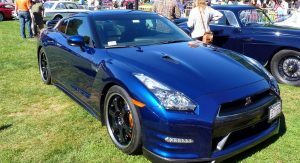 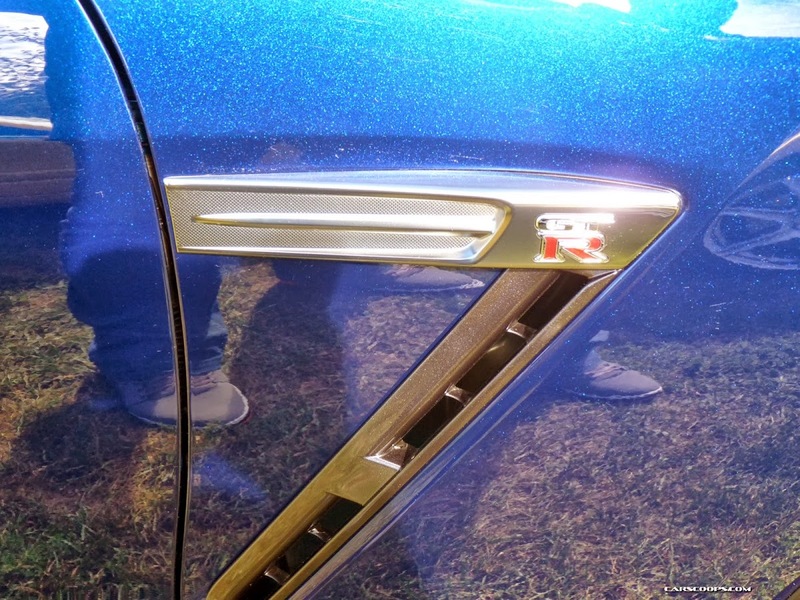 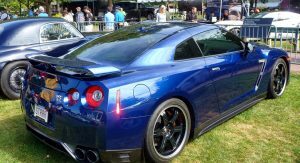 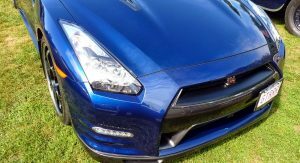 If you’re old enough to read these lines, then you should know everything there is to know about Japan’s modern supercar fighter, the Nissan GT-R. 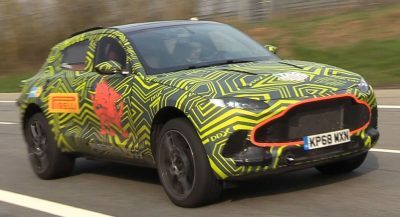 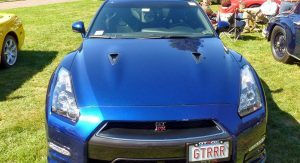 It doesn’t have its engine in the middle, but it packs enough grunt to scare anything from a raging bull to a wild stallion. 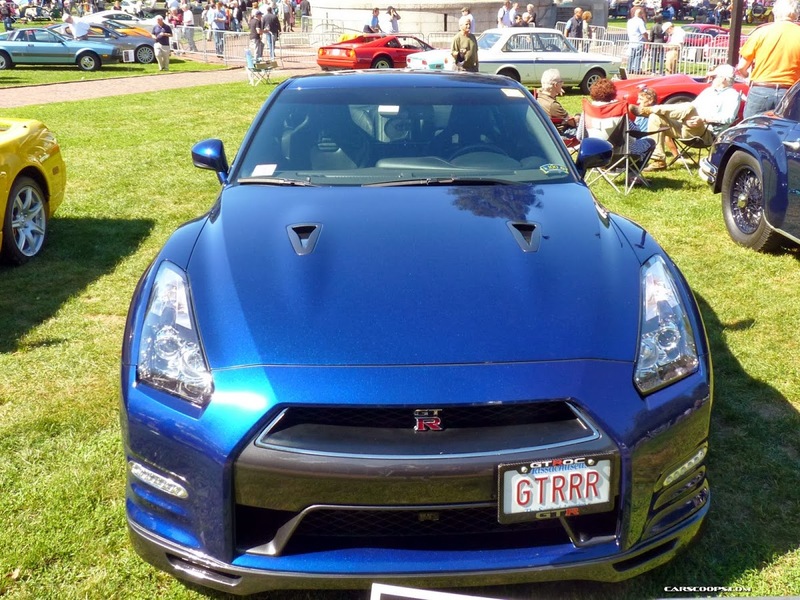 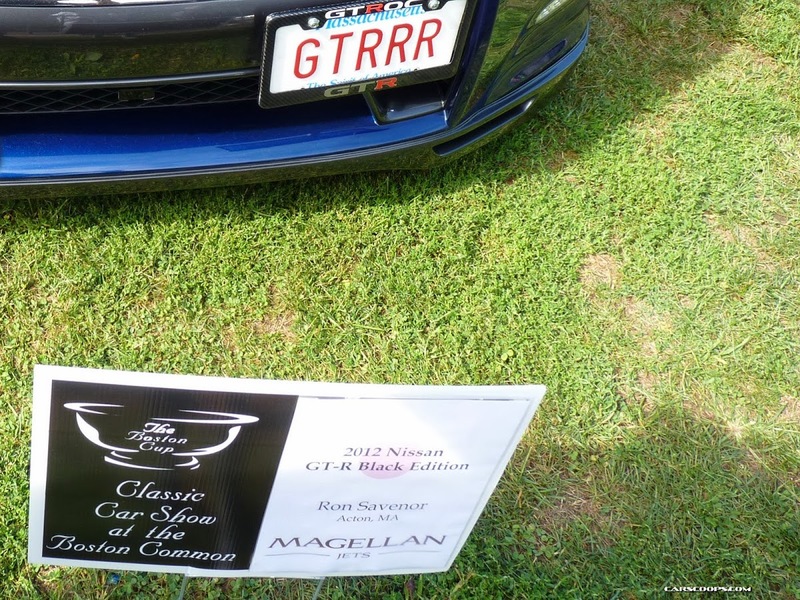 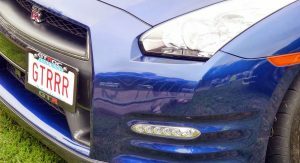 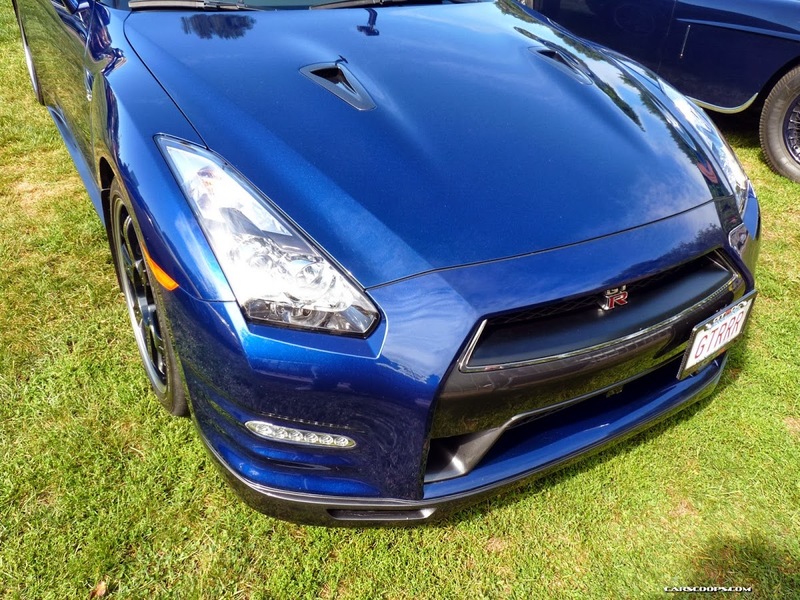 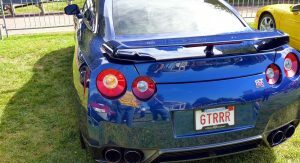 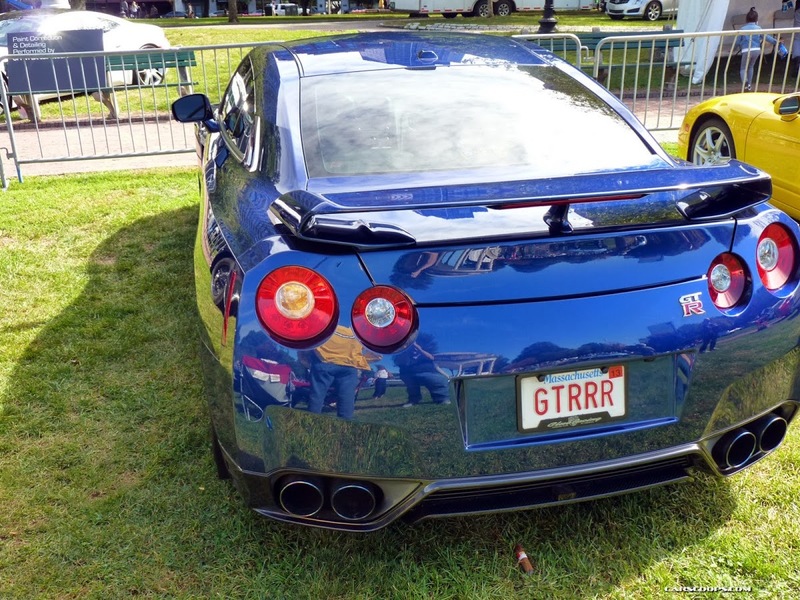 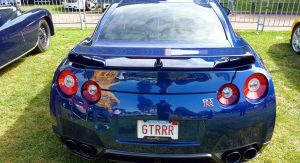 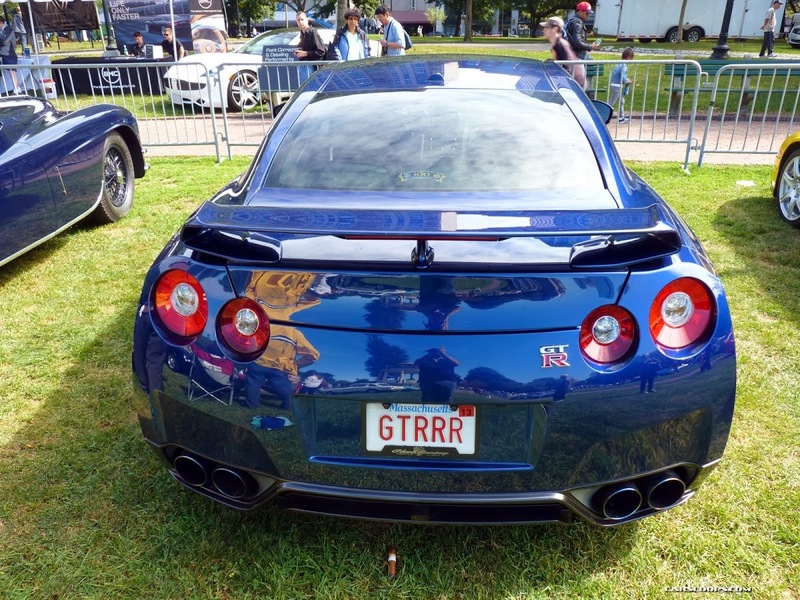 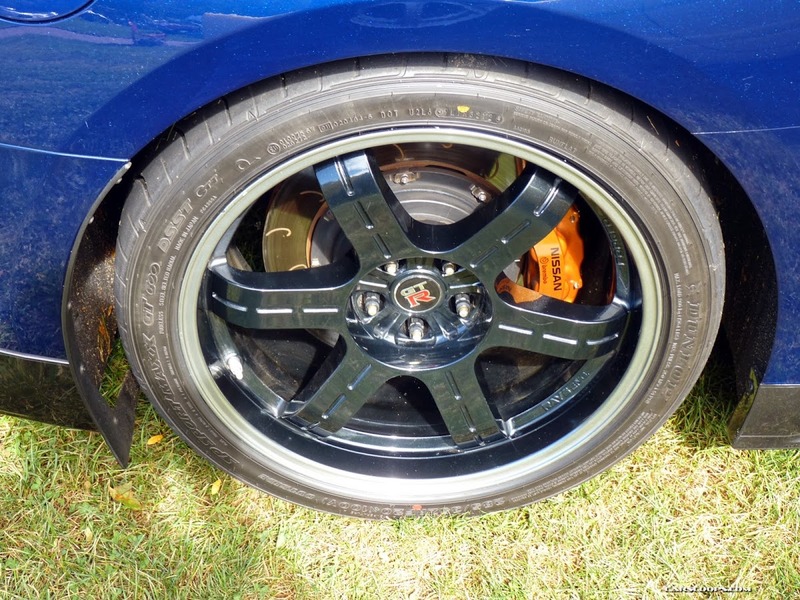 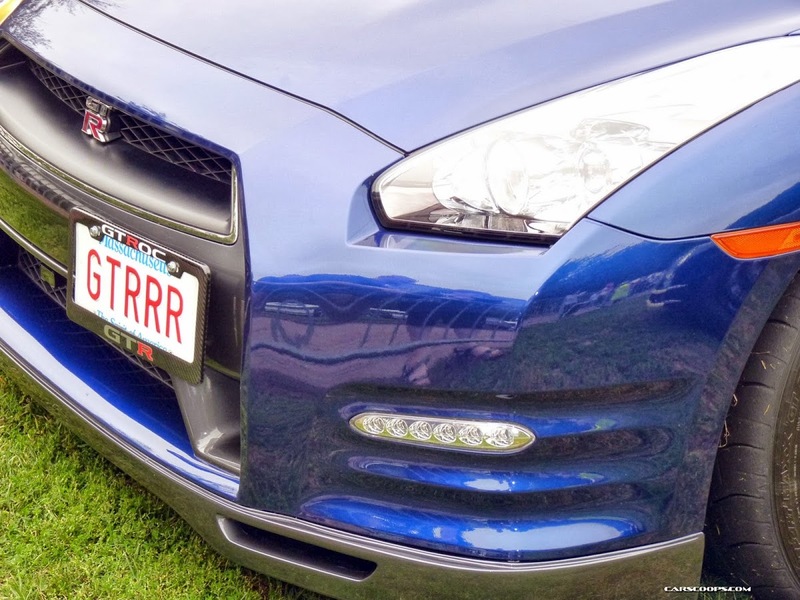 This particular GT-R with the cheeky GTRRR license plates is a 2012 Black Edition, meaning it blends a 530HP twin-turbo’d 3.8-liter V6 with a bag of other performance and styling goods such as improved aerodynamics, bespoke wheels and interior upgrades. 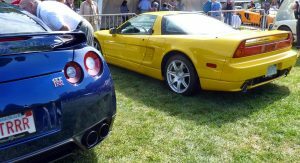 After gazing at the two cars, it becomes quickly obvious that they’re very different beasts; whereas the NSX is what we’d call the Bruce Lee of Japanese sports cars, the GT-R is more akin to a pissed off Mike Tyson. 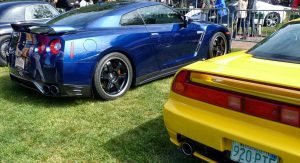 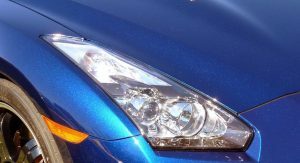 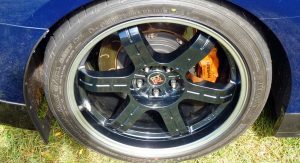 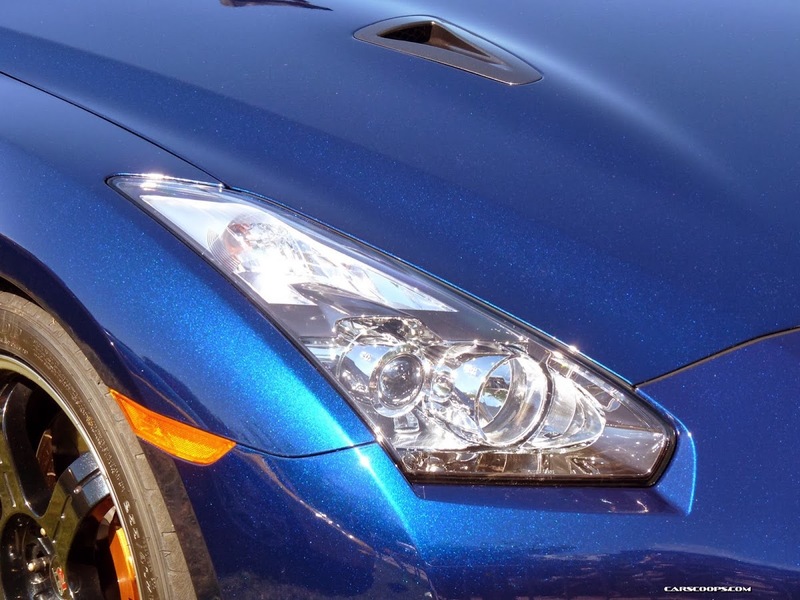 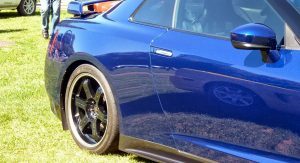 At 183.9 in (4,671 mm) long, 74.9 in (1,902 mm) wide and 54.0 in (1,372 mm) tall, the GT-R trumps the NSX in size, as the latter is 174.2 inches (4,425 mm) long, 71.3 inches (1,810 mm) wide and 46.1 inches tall (1,170 mm). 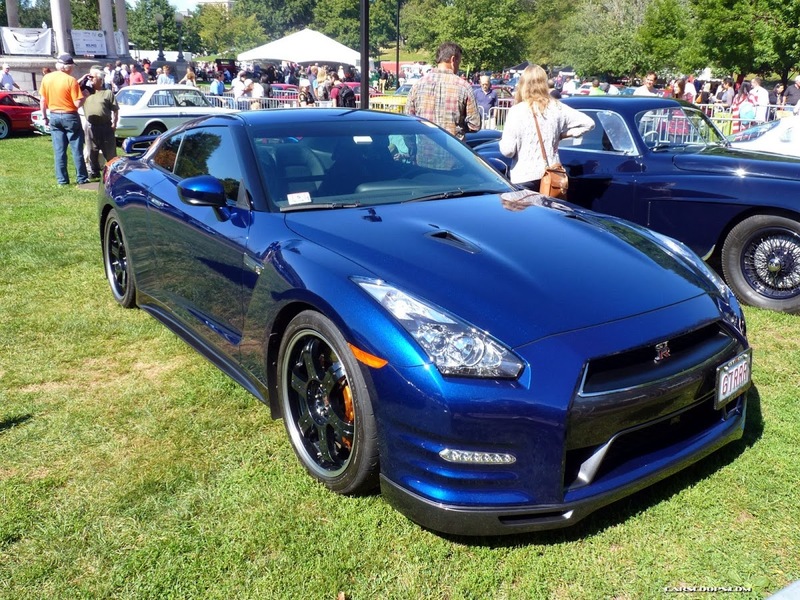 We initially wanted to include a single poll about which one is the prettiest in your opinion, but we decided to add another one asking which of the two would you take home if some kind and generous soul offered it to you (yeah, right…). 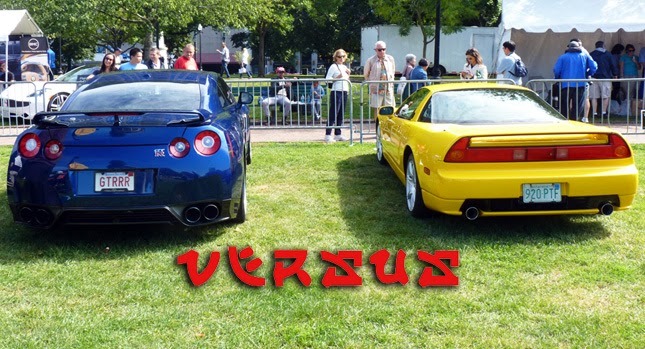 You can answer both questions in the poll and the comments below.